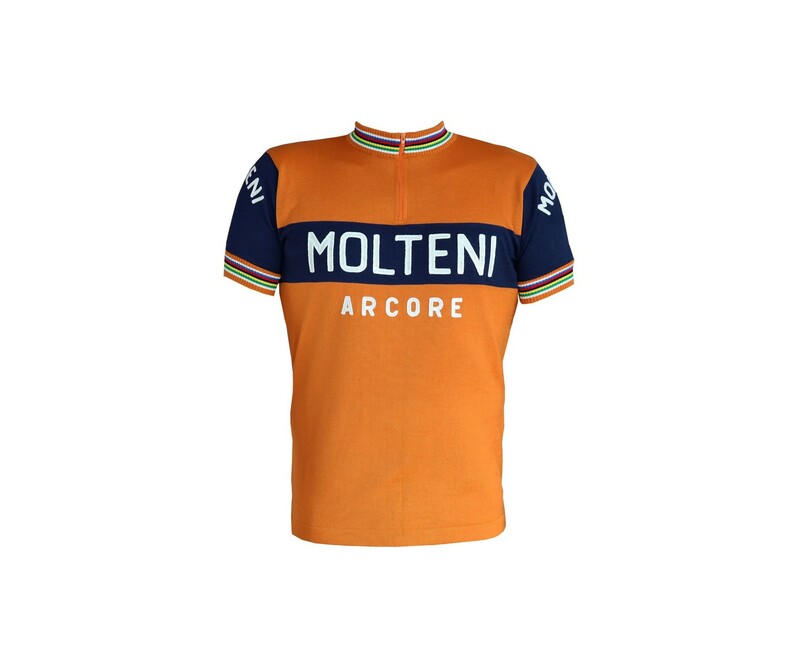 Vintage Velos is proud to offer Molteni brand cycling jersey. This wool cycling jersey is styled after the jersey worn by Eddy Merckx when he was at his peak. Team Molteni had an impressive run of twenty years winning several Giro d' Italias,Tour de Frances and European classics. Made exactly to spec with same burnt orange, blue and champion stripes in collar/cuff. Rare chain-stitch embroidery on front, back and sleeves. 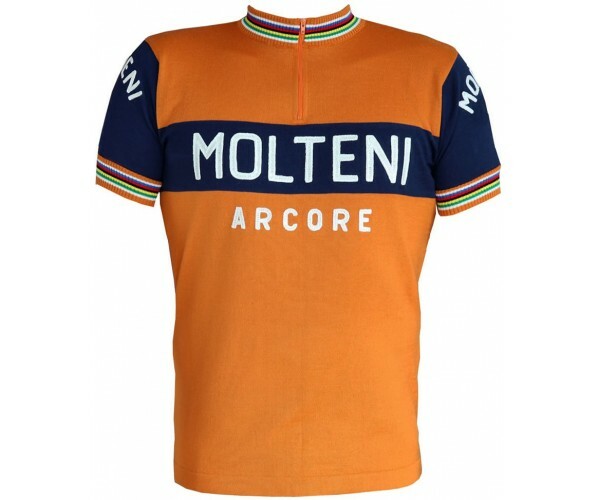 There is only one true Molteni jersey and this is it. Special was $148 now save at $138.